The TV talent show 'Jesus Christ Superstar' chose its messiah yesterday by public vote - with the expert oversight of Lord Lloyd Webber. It was an example of British 'meritocracy' in action. Yesterday, the great British public elected their Jesus. This was the television talent show ‘in which theatre legend Andrew Lloyd Webber searches for a new star to play the lead in a nationwide arena tour of his classic rock opera Jesus Christ Superstar’. It was an opportunity for the public to create its own deity; it was a triumph for democracy; it was God on TV with an anthropocentric twist. 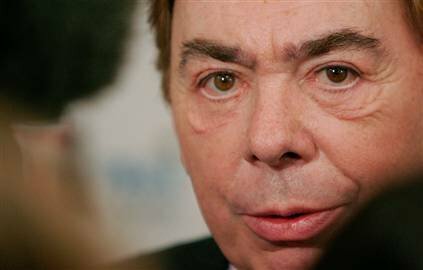 Andrew Lloyd Webber, expert judge on ITV's 'Superstar', a reality TV programme to find the lead role for a touring production of Lloyd Webber's 'Jesus Christ Superstar'. Without wishing to belittle last night’s events, I would like to suggest that the real cosmic drama unfolded two days earlier. On Monday evening, Jesus hopeful Nathan James was at the receiving end of a little wrath from our Lloyd Webber. Nathan’s problem, apparently, was that of ‘loving himself’ too much. He had, of course, already replied in the words of Lady Gaga that he was ‘Born This Way’. But that was viewed as no excuse. Nathan discovered that, in spite of his birthright, he was not a born superstar after all. At the end of the quarter final, Nathan James found himself in the bottom two as one of the candidates with the fewest public votes. He would have to sing for survival alongside and against a fellow contestant. Andrew, the expert judge, would then decide who to save based purely on a judgement of merit (this was the show’s formula). And yet, nobody doubted that his distaste for Nathan was having an effect. It was no surprise to hear that, ‘despite a fantastic performance’, Nathan would be leaving the competition. It is easy to be cynical about ‘expert’ judgement. More broadly, we find it easy to be sceptical about the practical possibility of systems that are based on pure merit – otherwise known as meritocracies – places where ability is rewarded, where no talent goes to waste, where all wealth and status is deserved. We have good reason to be sceptical. Despite its best efforts to cast a veil over inequities, government cannot altogether ignore the fact that persistent and systematic differences continue to define life chances. To focus on a narrow end of the debate, Oxford and Cambridge, we frequently hear, are not doing enough to ensure that their gates are open to all, irrespective of background. Some go so far as to suggest that higher education, that gateway to the professions, is just another cartel. Others argue that meritocracy – such as it can be said to exist – is practically incompetent. In other words, there are too many fools in positions of power. It is certainly ironic that the head of a private security firm (G4S' Nick Buckles), whose own merits were soon to be placed in doubt, was extolling the virtues of meritocracy before his Olympian fall from grace. Despite all the doubt and suspicion, what is worth noting in many critiques of meritocracy, or social mobility, is a palpable sense of disappointment, even betrayal. You could well ask why we are so easily dismayed, even indignant, in the face of each damning report that is added to the charge sheet of crimes against meritocracy; why we continue to hold onto this yardstick against which we measure society and find it wanting; why we retain the guiding principle of meritocracy, even though we are so easily moved to be cynical about its very possibility; why we allow ourselves to pretend, even for a moment, that Andrew Lloyd Webber can discharge his expert judgement dispassionately and objectively; why we continue to submit ourselves to this meritocratic ideal. Is it possible that we are idealists who refuse to give up on a meritocratic dream, however dysfunctional it may be in its current form? If that is the case, perhaps we should investigate what is at stake here. What do we fear? Why is it that we hold on so tightly to an ideal that, until now, has always been so deeply flawed in practice. Or is it because we are, at core, pragmatists, happy to work the system but careful not to hope for anything better? If this is the answer, perhaps we should explore the deep social pessimism of this position. But perhaps there is something else going on here. We appear to be capable of open scepticism concerning meritocracy, whilst in the conduct of our lives we act in good faith, hoping that despite its systematic biases and systemic failings meritocracy will reward us, this time, for once. Somewhere we learn to remain resolute, to retain hope in the face of (compromised) reality. We learn to react with optimism in the activity of our daily lives as we take examinations and apply for jobs, even though we understand that a heavy grease lines the pole of upward mobility. We are prepared for this sort of life. There exists a defiant meritocratic sensibility that is somehow embedded within us. This last possibility is worth exploring. If, as it suggests, the meritocratic sense runs deeper than we currently acknowledge, any challenge to meritocracy and its institutions will need to operate at the level of our subjectivity. It will have to go beyond rejecting our overrated credentials, even if we discover that a degree certificate may ‘burn brighter than a draft card’. We cannot escape meritocracy by insisting that the credentialed join the un-credentialed - that they commit suicide as a class. The key to our meritocratic subjectivity can, perhaps, be found in the sins of an aspiring Jesus. Nathan was simply trying too hard to be the star. His situation was more vexed than that of ‘acting how a small man thinks a big star acts’. Rather, he was reaching too close to his dream. As he approached Jesus, he was unable to negotiate that extremely difficult relation to his dream, of proximity and distance, that is required of contestants. Contenders on this sort of show must convince their public that they are good enough to be Jesus, indeed, that they almost already are Jesus (they must demonstrate their proximity to Him). At the same time, they must distance themselves from Jesus through a correctly measured dose of self-effacing humility. 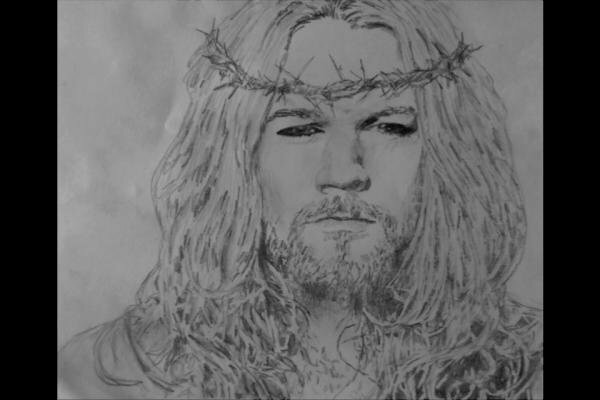 Nathan made the cardinal mistake of tweeting a picture of himself with a crown of thorns (pictured above), thereby suggesting that he already was Jesus. In this singular tweet, he advanced just one step beyond almost already being Jesus. This is what Lloyd Webber could not allow. Clearly it is a delicate balance to strike, but it is one that we are all, increasingly, being expected to learn. Meritocracy no longer functions on a principle of fairness. It functions through an aspirational drama where we are asked to negotiate our dreams against an upper limit of acceptable self-delusion. Here, we inhabit a regime of power where we become the agents of our own subjection. We must learn to face disappointment with good character. But, more than this, and irrespective of whether we succeed or not, we are today expected to negotiate an impossible combination of two conflicting forces, relating to our dreams through a dual manoeuvre of proximity and distance. We are invited to entertain the wildest fantasies, and then swallow them back. We must learn to manage and moderate the desires that meritocracy incites in order to legitimise its operations. Indeed, if we failed to do so, and these desires were unleashed, meritocracy would reach its full and convulsive realisation. Meritocracy once adopted the slogan: ‘Try and you will be rewarded according to your merits’. Meritocracy today says something very different: ‘You may be rewarded, you may not, but try anyway. More importantly: dream just a little less than too much and learn to cope with the inevitable fall’. Nathan dreamt just a little more than too much and fell from heaven. See Ansgar Allen's piece 'You never will be a rock star': Britain, social mobility and the exploitatoin of hope'. He is currently writing a book on the history of meritocracy due to be published by Palgrave Macmillan in 2013.